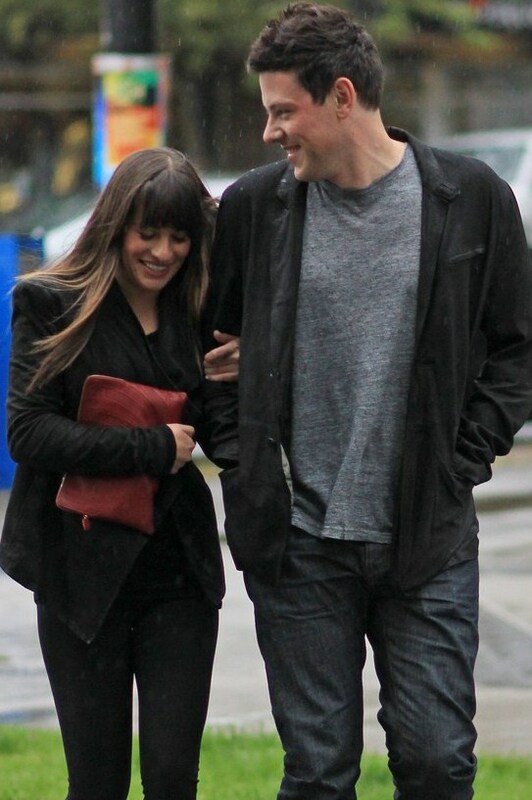 Lea Michele and her boyfriend Cory Monteith looked adorable while heading out for sushi in Vancouver. Lea went to visit Cory's hometown and seemed to be all smiles after landing at the airport. The two dated on-screen for Glee and are now surprisingly dating off-screen. Both Cory and Lea are beginning to enjoy a break from working this summer and it looks like they'll be spending a lot of time together!